Lock in a great price for Safety Stop Bungalows – rated 9.2 by recent guests! 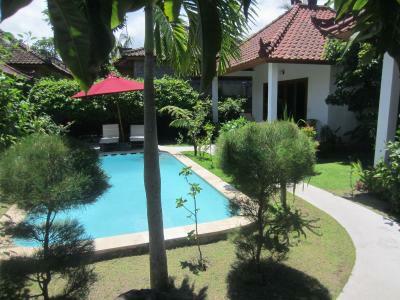 Nice villa off the Main Street in tulamben! Close to many dive shops. 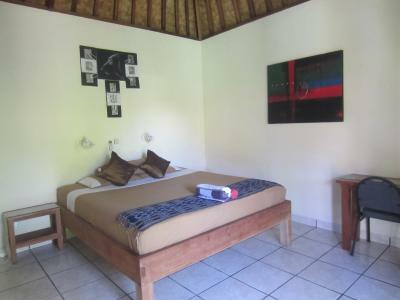 Accommodation is really a good choice; it includes a nice terrace next to the swimming pool, comfortable bed and pleasant outdoor shower with enough hot water, useful air condition in hot nights and a safe was provided too. The room was cleaned every morning during our breakfast. 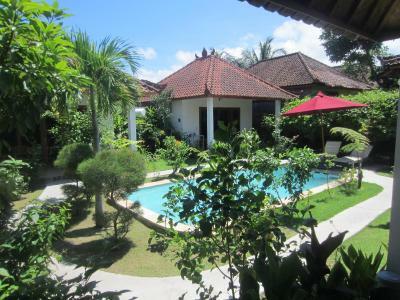 The stuff was helpful, it was especially nice to chat with Eka, who also directed us to the diving company called Bali Dive Quest, a few meters away and across the street from the market shop and Jelita Beauty Salon with best massages (to our experience) in Bali! 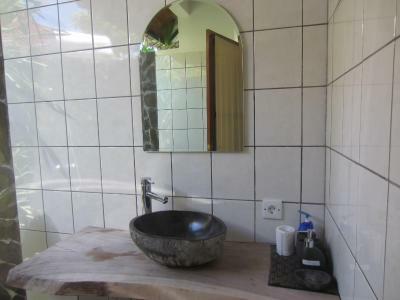 Accommodation also serves good food and is very near to the beach and a shipwreck. Pool, room (very quiet), friendy staff (i arrived after midnight, that was no problem), delicious food in the Restaurant, excellent breakfast (including delicious fruit juice). 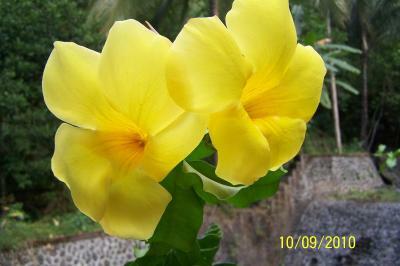 It is a small place with 4 bungalows in a beautiful garden. I did not met Ralf, but his wife (?) tells you everything you need to know. They also habe comfortable sunbeds at the pool. I had a great stay! These bungalows are spacious, clean, and super comfortable. The owner and staff were wonderful to us. They were very accommodating to all our needs regarding checking in and out. Dinner was also very delicious at their restaurant, the portion sizes were quite big. The location was also close to everything and we definitely recommend this perfect hideaway for anyone visiting Tulamben. It's a small paradise. 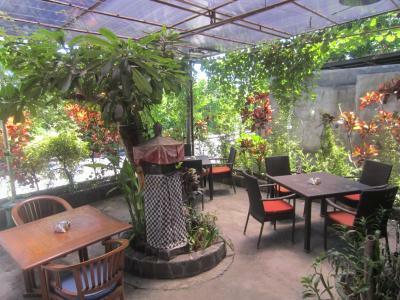 In my opinion the restaurant is one of the best in Tulamben. 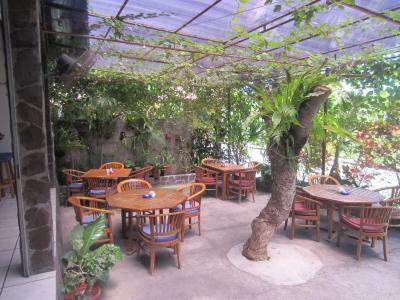 Who have no possibility to stay in Safety Stop, just visit the restaurant. Enough space, something to sit outside. A table and chair inside, near to my dive center. Near to supermarket, ATM. Not that loud. 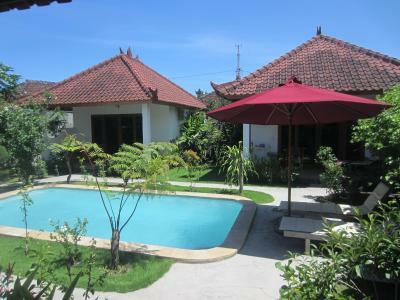 It was such a tranquil place to stay and the staff were very kind and generous. The breakfast was delicious too. We really liked that we could refill our water bottles from the gallon. The manager and staff were very welcoming and helpful. The location to dive shops and the wreck is very good. The A/C works well. The restaurant is pretty good. Trevlig personal som alltid var där, väldigt bra pris och snabbt WiFi! 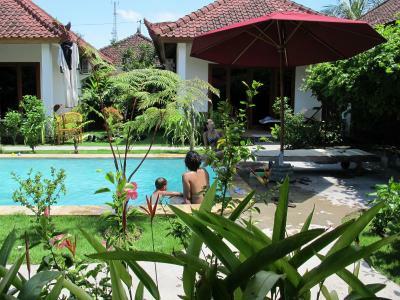 Safety Stop Bungalows This rating is a reflection of how the property compares to the industry standard when it comes to price, facilities and services available. It's based on a self-evaluation by the property. Use this rating to help choose your stay! 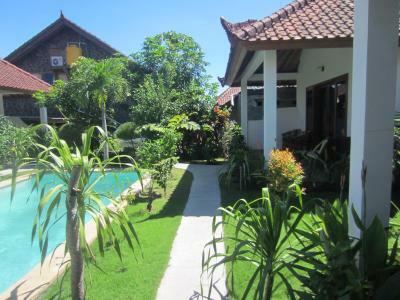 Featuring a garden and a terrace, Safety Stop Bungalows is located in Tulamben. Among the facilities of this property are a restaurant, an ATM and a tour desk, along with free WiFi. Guests can use a bar. 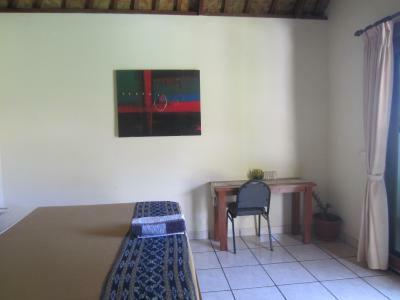 Guest rooms at the guesthouse come with a seating area. 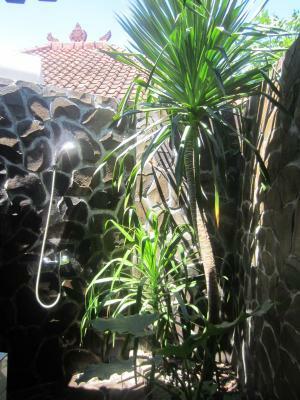 The private bathroom is equipped with a shower. 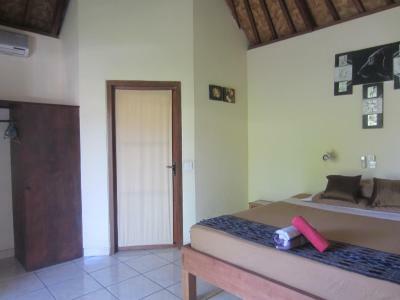 All guest rooms at Safety Stop Bungalows include air conditioning and a desk. 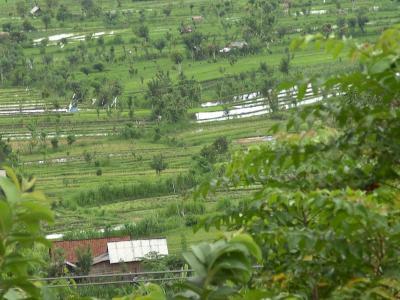 Candidasa is 24 miles from Safety Stop Bungalows. Ngurah Rai International Airport is 63 miles away. 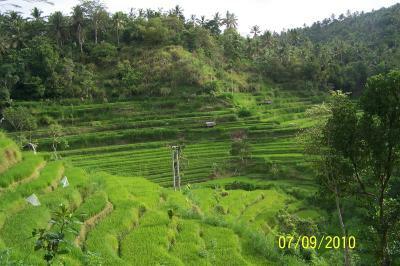 This is our guests' favorite part of Tulamben, according to independent reviews. 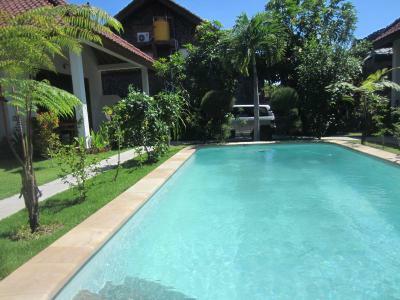 This property also has one of the top-rated locations in Tulamben! Guests are happier about it compared to other properties in the area. 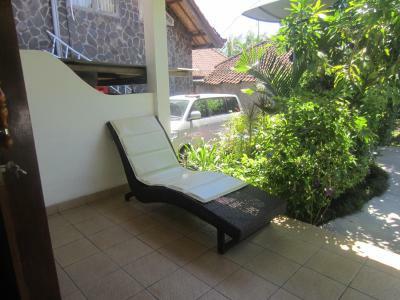 This property is also rated for the best value in Tulamben! Guests are getting more for their money when compared to other properties in this city. 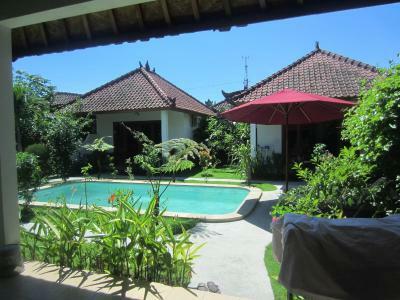 뀐 Located in the top-rated area in Tulamben, this property has an excellent location score of 9.1! 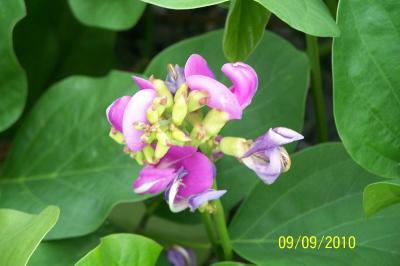 When would you like to stay at Safety Stop Bungalows? 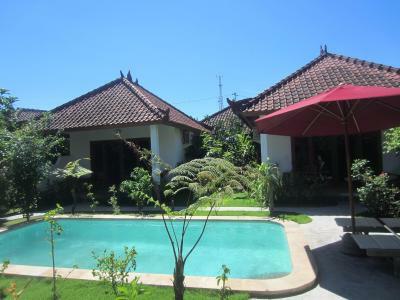 This bungalow has air conditioning, tile/marble floor and private entrance. House Rules Safety Stop Bungalows takes special requests – add in the next step! Safety Stop Bungalows accepts these cards and reserves the right to temporarily hold an amount prior to arrival. 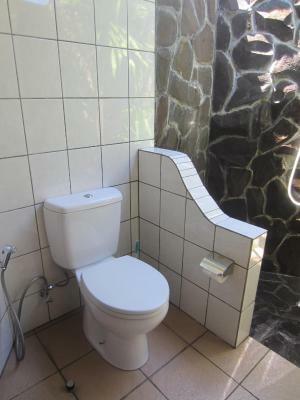 Bathroom has no roof. The room had a smell. Bed, to hard, difficult to sleep. 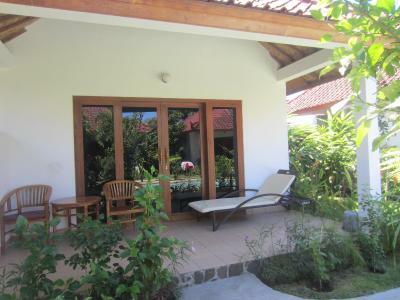 Own bungalow with a small nice veranda. It would be better if they didn't serve any drinks with plastic straws. Since almost all tourists come to Tulamben to see the marine life, it's best to help protect the waters from plastic waste. They could offer paper straws, or just only provide plastic straws upon request. 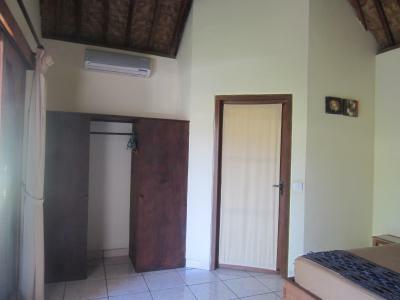 Also, the room closest to the Reef hotel kitchen (room 1) is a bit noisy from a high-pitched hum coming from the kitchen, so try to request one of the other three rooms. The pillows are a bit lumpy.